Kaepernick launched his new Nike campaign on Labor Day, asserting that he sacrificed his football career for his right to kneel during the national anthem. Kaepernick has not played football since the 2016 season after he lost the starting job as quarterback for the San Francisco 49ers to Blaine Gabbert. 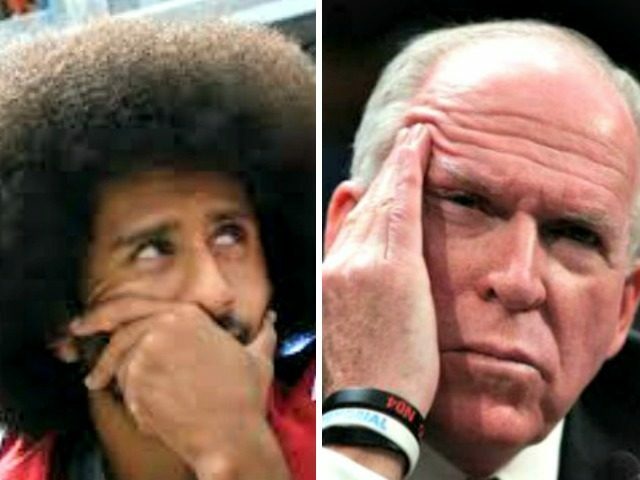 Brennan praised Kaepernick for his protest, asserting that it brought attention to “racial injustice” in America. “He did so not to disrespect our flag but to give meaning to the words of the preamble of our Constitution — “in order to form a more perfect union,” he insisted. Kaepernick’s protest was also praised by former Iranian dictator Mahmoud Ahmadinejad.